People interested in UFOs often possess vast amounts of knowledge on popular cases and intricate details of happenings within the community. High profile ufology personalities and their followings know their UFO stuff. Unfortunately, we might sometimes be viewed as knowing a lot about a little, and those observations may at times have merit. relatively brief look at how better understanding the intelligence community might be important for those desiring to know more about events taking place within ufology. 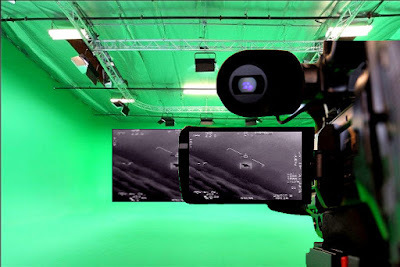 The Pentagon spent over $500 million – half a billion bucks – to create fake videos, according to sources such as Independent and The Bureau of Investigative Journalism. But it was much more than perception management. As a matter of fact, the videos were designed to appeal to Al-Qaeda members and sympathizers, not change their minds. This particular batch of propaganda consisted of fake terrorist vids that tracked the locations of viewers. The material was created by a UK-based public relations firm hired by the U.S. Department of Defense. A former chairman of Bell Pottinger, the PR firm, reportedly confirmed the existence of its contract with the Pentagon. Likewise, the Pentagon also confirmed the contract, while insisting all material distributed was truthful. That may actually be the case while the videos nonetheless fall well under the definition of Al-Qaeda propaganda. We might also consider what history teaches us about relationships between intelligence agencies and wealthy eccentrics. 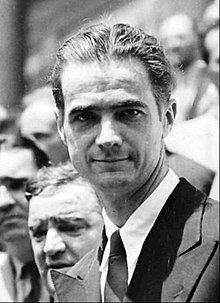 The CIA recruited Howard Hughes to supply cover for Project Azorian, a multi-million dollar effort to secretly raise a sunken Russian submarine from the bottom of the ocean. The project took years to fully execute and involved Hughes announcing a fabricated plan to mine the seafloor. In actuality, sailors would work to raise the sub under the guise of mining, which, by the way, was reasonably successful. The CIA eventually released documents indicating about 40 feet of the over 300-foot vessel was retrieved. We might be wise to familiarize ourselves with such operations and keep them in mind when contemplating the Advanced Aviation Threat Identification Program and its close relations to Robert Bigelow and To The Stars Academy. Every instance of career intelligence officials moonlighting as ufologists is certainly not the tip of a far reaching conspiracy. That stated, it is not unreasonable by any means to expect verification of evidence presented. The same can be said for claims asserted. That might particularly be considered the case when To The Stars claimed able to present a verifiable chain of custody of videos published, yet has failed to do so. There is not a lot of wiggle room in the definition of a fact. It can be publicly reviewed and confirmed by third parties or it can't. When it can't, it simply shouldn't yet be accepted as a fact. It's reasonable to be open-minded. It's also reasonable to be inquisitive and interested in what might be navigating the skies. But don't be gullible. Don't be guilty of confirmation bias. Demand professionally presented evidence. The truth depends on it. What’s Up With The Slow Dribble of Jet Fighter/UFO Videos?